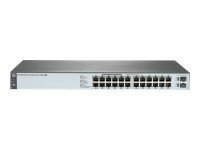 If you want to improve your network capabilities, managed switches are a good way of going about it. For a relatively small outlay, you can make a big difference to your business operations. 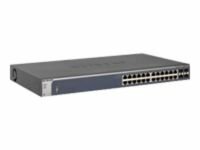 Among the options you have available to you is the Cisco Small Business 300 Series 8-port L3 managed switch. This product delivers a combination of performance, price and power. 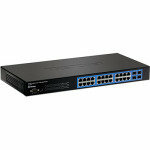 Alternatively, why not take a look at the HP V1700-8 8-port managed switch? If you own a small business and are looking to make the transition from unmanaged to managed networks, this is the product for you. 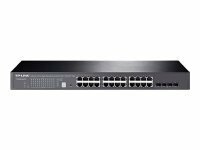 You should also consider the TP-Link JetStream 24-port 10/100 L2 managed switch. 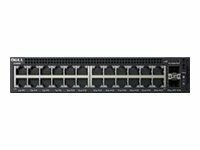 It comes equipped with four combo SFP slots which allows you to enjoy greater network flexibility. If you are moving from unmanaged to managed networks, come to Ebuyer.com. We have an extensive range of managed switches and a number of delivery options, so you can receive your goods at a convenient time for you.